The primary objectives of the Belgrade Offensive centered on lifting the German occupation of Serbia, seizing Belgrade as a strategic holdout in the Balkans, and severing German communication lines between Greece and Hungary. The spearhead of the offensive was executed by the Soviet 3rd Ukrainian Front in coordination with the Yugoslav 1st Army Corps. Simultaneous operations in the south involved the Bulgarian 2nd Army and Yugoslav XIII Army Corps, and the incursion of the 2nd Ukrainian Front northwards from the Yugoslav-Bulgarian border placed additional pressure on German command. There were additional skirmishes between Bulgarian forces and German anti-partisan regiments in Macedonia that represented the campaign's southernmost combat operations. After the collapse of the uprising in December 1941, anti-Axis activity in Serbia decreased significantly, and the focus of resistance moved to other, less populated areas. Consequently, although Serbia had great significance to the Germans, very few troops actually remained there; according to Schmider only about 10,000 in June 1944. In the following years, Tito repeatedly tried to reinforce the partisan forces in Serbia with experienced units from Bosnia and Montenegro. 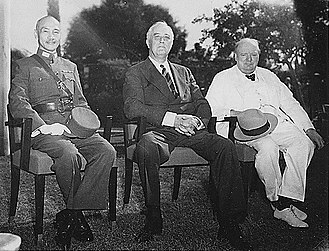 From the spring of 1944, the Allied command had assisted in these efforts. The Germans actively opposed these efforts by concentrating forces in the border regions of Bosnia and Montenegro, in order to disturb Partisan concentrations, to inflict casualties on Partisan units, and to push them back with a series of large-scale assaults. By the end of September, the Red Army 3rd Ukrainian Front troops under the command of Marshal Fyodor Tolbukhin were concentrated at the Bulgarian-Yugoslav border. The Soviet 57th Army was stationed in the Vidin area, while the Bulgarian 2nd Army (General Kiril Stanchev commanding under the operational command of the 3rd Ukrainian Front) was stationed to the south on the Niš rail line at the junction of the Bulgarian, Yugoslav, and Greek borders. 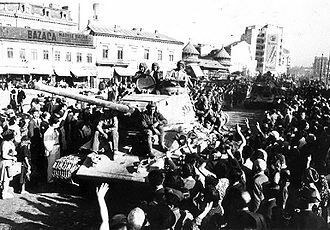 This allowed the arrival of the Partisans 1st Army from Yugoslav territory, in order to provide support to their 13th and 14th Corps collaborating in the liberation of Niš and supporting the 57th Army's advance to Belgrade, respectively. The Red Army 2nd Ukrainian Front's 46th Army was deployed in the area of the Teregova river (Romania), poised to cut the rail link between Belgrade and Hungary to the north of Vršac. Before the start of ground operations, the Soviet 17th Air Army (3rd Ukrainian Front) was ordered to impede the withdrawal of German troops from Greece and southern regions of Yugoslavia. To do so, it carried out air attacks on the railroad bridges and other important facilities in the areas of Niš, Skopje, and Kruševo lasting from 15 to 21 September. After the successful completion of the first stage, the plan was to deploy the 4th Guards Mechanized Corps to the bridgehead on the west bank. 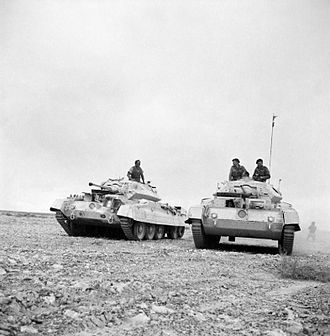 This Corps with its tanks, heavy weapons, and impressive firepower was compatible with the Yugoslav 1st Army Corps, which had significant, concentrated manpower, but was armed mainly with light infantry weapons. Once joined, these two formations were ordered to execute the main attack on Belgrade from the south. The advantages of this plan were the possibility of the rapid deployment of forces in the critical final stage of the offensive, and the possibility of cutting off German troops in eastern Serbia from their main forces. In January 1944, partisan operational units left the northern part of east Serbia under pressure from occupiers and auxiliary forces. Bulgarian garrisons, some German police forces, and Serbian Quisling troops, all under German command, and Chetniks, mostly commanded by agreements with the Germans, remained in the area. Partisan forces made up of the 23rd and 25th Divisions returned to the central parts of east Serbia in July and August 1944, forming a free territory with a makeshift runway in Soko Banja, thus securing both air supply of arms and ammunition, and allowing evacuation of the wounded. After the coup in Romania, the importance of the northern part of east Serbia had grown for both sides. In a race against each other the Partisans were better positioned and faster. 23rd Division, in a fierce battle with German police battalions and auxiliary forces, took Zaječar on 7 September, and on 12 September entered Negotin, while the 25th Division unsuccessfully attacked Donji Milanovac at the same time. Volunteers were joining the units in large numbers increasing their size. A new, 45th Serbian Division was formed on 3 September, and on 6 September, 14 Corps headquarters was established as a high command for the area of operations. In August 1944, Army Group F Commander Feldmarschall Maximilian von Weichs ordered the concentration of his mobile forces in Serbia to combat the Partisans. This included: the 4th SS Police Division, the 1st Mountain Division, the 92nd Motorized Regiment, the 4th Brandenburg Regiment, the 191st Assault Brigade, and the 486th Armored Reconnaissance Troop. 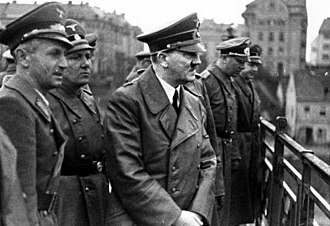 As a counter-measure to the events in Romania and Bulgaria, he ordered the 11th Luftwaffe Field Division, the 22nd Infantry, the 117th, the 104th Jäger Division, and the 18th SS Mountain Police Regiment to advance to Macedonia. The 1st Mountain Division was withdrawn from operations against partisans in Montenegro, and was transported to the Niš area. On 6 September, it was placed under the command of General Hans Felber, tasked with establishing control on the Bulgarian border. By mid-September, the division won control of Zaječar and reached the Danube, at the area where the main attack was expected. The 7th SS Division under the command of the 2nd Panzer Army, attacked partisan units moving to Serbia from eastern Bosnia and Sandžak. This Division was subordinated to General Felber on 21 September, with the intention of launching an offensive against the partisans in western Serbia. However, due to the deteriorating situation on the eastern border, this offensive was canceled. Beginning at the end of September, the division was transferred to southeast Serbia, to guarde the southern part of the Serbian front-line between Zaječar and Vranje. This enabled the 1st Mountain Division to concentrate on the north, in the area between Zaječar and Iron Gates. The 1st Mountain Division was strengthened by the 92 Motorized Regiment, the 2nd Brandenburg, and the 18th SS Mountain Police Regiment. Both divisions added men from sections of German units withdrawn from Romania, and Bulgaria, as well as from local formations. On 22 September, the 1st Mountain Division mounted an attack on the left bank of the Danube in order to gain control of the Iron Gates, but the plan failed when the 75th Corps of the Red Army, advancing in the opposite direction, launched an attack on the division. First to reach the Iron Gates area were reconnaissance elements of the 75th Rifle Corps. On 12 September, they established contact with the partisans on the other side of the Danube. However, in the following days, the Germans succeeded in pushing out the partisans from the river bank, and launched a limited attack on Red Army elements across the Danube. According to the general plan, the 75th Corps was to be included in the composition of the 57th Army during its attack south of the Danube, and the completion of the 57th Army transfer to the Vidin area was not expected before 30 September. Having a fluid situation on the Yugoslav side of the Iron Gates, and a German attack across the Danube, 75th Corps launched its attack earlier, crossing the Danube on 22 September. After initial success, in the next days, the German 1st Mountain Division undertook a vigorous counter-attack, pushing the Soviets back to the shores of the Danube. Because of this, the 57th Army attack was launched on 27 and 28 September with troops brought in over night. Divisions of the 68th and the 64th Rifle Corps were introduced to the area from Negotin to Zaječar. 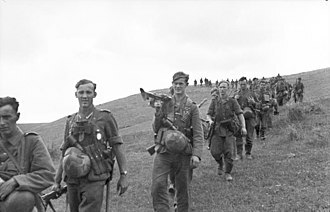 Because of successful attacks, by 4 October, German forces in front of the Soviet 57th Army were separated into three battle groups with no contact with each other. Battle group Groth holding Zaječar was the southernmost, battle group Fisher held positions in the middle, and battle group Stettner (named after the 1st Mountain Division commander) held grounds in mountains further to the north. Having firm control of the crossroads in their area, Soviet command decided to postpone a decisive attack on the German battle groups and to exploit the open roads with mobile forces for deeper penetration. On 7 October, the 5th Guards Motorized Rifle Brigade, reinforced with a self-propelled artillery regiment and an anti-tank regiment, marched from Negotin over Rgotina and Žagubica to Svilajnac. In twenty-four hours the brigade performed a 120 km long march-maneuver, reaching the Great Morava valley on 8 October, leaving German frontline forces far behind. The next day, 9 October, the 93rd Rifle Division broke into the Great Morava valley through Petrovac. The division commander formed a special task force under Captain Liskov, to capture the only 30-ton bridge over the river near the village of Donje Livadice. Captain Liskov's group successfully neutralized German guards and prevented them from mining the bridge which held great importance for the remaining course of the offensive. On 10 October, the 93rd Rifle Division and the 5th Motorized Brigade secured the bridgehead on the west bank of the Great Morava river. The 4th Guards Mechanized Corps of the Red Army broke through the enemy resistance south of Belgrade on 14 October, and approached the city. The Yugoslavs advanced along the roads in the direction of Belgrade south of the Sava River, while the Red Army engaged in fighting on the northern bank outskirts. The assault on the city was delayed due to the diversion of forces for the elimination of thousands of German troops surrounded between Belgrade and Smederevo to the south-east. On 20 October, Belgrade had been completely overrun by joint Soviet and Yugoslav forces. The Yugoslav 1st Army Corps continued to push German forces westwards for some 100 km through Srem, where the Germans managed to stabilize a front in mid-December. A Medal "For the Liberation of Belgrade" was established by a decree of the Presidium of the Supreme Soviet on 19 June 1945. ^ a b Krivosheyev 1997. ^ Biryuzov 1964, p. 260. ^ p.615, Wilmot "[the Red Army] entered Belgrade ... at the same time as Tito's partisans. "; p.152, Seaton; "The Russians had no interest in the German occupation forces in Greece and appear to have had very little interest in those retiring northwards through Yugoslavia...Stalin was content to leave to Tito and the Bulgarians the clearing of Yugoslav territory from the enemy. "; Library of Congress Country Studies citing "information from Documents on German Foreign Policy, 1919–1945, Arlington, Virginia, 1976": "...Soviet troops crossed the border on October 1, and a joint Partisan-Soviet force liberated Belgrade on October 20." ^ Biryuzov 1964, p. 83. ^ Biryuzov 1964, p. 270. ^ Tomasevich 2001, p. 168. ^ Biryuzov 1964, pp. 103–104. ^ Biryuzov 1964, pp. 103, 124. ^ Biryuzov 1964, p. 124. ^ Schmider 2002, p. 587. ^ Maclean 2002, pp. 437–438. ^ Maclean 2002, pp. 470–497. ^ Report of the High Commander of the Army Group F to the High Command of Wehrmacht Chief of Staff, dated 20 September 1944, National Archive Washington, Record Group 242, T311, Roll 191, frames 637–642. ^ Biryuzov 1964, p. 103. ^ Biryuzov 1964, p. 104. ^ Biryuzov 1964, p. 160. ^ Ivanović 1995, p. 162. ^ Biryuzov 1964, pp. 168-169. ^ Biryuzov 1964, p. 200. ^ Biryuzov 1964, p. 196. ^ Biryuzov 1964, p. 199. ^ Biryuzov 1964, pp. 203-204. Biryuzov, Sergeĭ Semenovich; Hamović, Rade (1964). BEOGRADSKA OPERACIJA. Beograd: Vojni istoriski institut Jugoslovenske narodne armije. Krivosheyev, Grigoriy Fedotovich (1997). Soviet Casualties and Combat Losses in the Twentieth Century. Greenhill Books. Schmider, Klaus (2002). PARTISANENKRIEG IN JUGOSLAWIEN 1941–1944. Hamburg, Berlin, Bonn: Verlag E.S. Mittler & Sohn GmbH. ISBN 3-8132-0794-3. Tomasevich, Jozo (2002). War and Revolution in Yugoslavia: 1941 - 1945. Stanford: Stanford University Press. ISBN 0-8047-0857-6. Majstorović, Vojin. "The Red Army in Yugoslavia, 1944–1945". Slavic Review. 75 (2): 396–421. doi:10.5612/slavicreview.75.2.396. The Battle of Loznica involved an attack on the German garrison of that town by the Jadar Chetnik Detachment on 31 August 1941. Following the World War II German-led Axis invasion of Yugoslavia in April 1941, at the time, Loznica was part of the German-occupied territory of Serbia, which included Serbia proper, with the addition of the northern part of Kosovo, and the Banat. The Chetniks attacked, led by Lieutenant Colonel Veselin Misita, who was killed during the assault, the Germans surrendered, and 93 were captured. This battle was followed by the joint Partisan-Chetnik attack on the German garrison at Banja Koviljača. 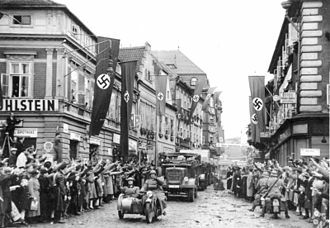 In April 1941, Germany and its allies invaded and occupied the Kingdom of Yugoslavia, some Yugoslav territory was annexed by its Axis neighbours, Hungary and Italy. The Italians and Bulgarians occupied other parts of Yugoslavian territory, Germany did not annex any Yugoslav territory, but occupied northern parts of present-day Slovenia and stationed occupation troops in the northern half of the NDH. The German-occupied part of Slovenia was divided into two areas that were placed under the administration of the Gauleiters of the neighbouring Reichsgau Kärnten and Reichsgau Steiermark. The remaining territory, which consisted of Serbia proper, the part of Kosovo. This was due to the key rail and riverine transport routes that passed through it and this coincided with the departure of the last of the German invasion force that had remained to oversee the transition to occupation. The first fighting occurred at the village of Bela Crkva on 7 July, when tried to disperse a public meeting. In the Podrinje region, encompassing the Drina basin, a Partisan district committee had been formed on 29 June, to oversee the local uprising and form Partisan detachments. After collecting weapons and ammunition, the detachments first action was to attack the station in Bogatić on 7 August, disarming the gendarmes. Due to the scope of the uprising, on 9 August the detachment was renamed the Podrinje Partisan Detachment. The offensive took place from 4 to 9 December 1941 near Šumadija, in the Territory of the Military Commander in Serbia. On 31 August 1941, the Jadar Chetnik detachment freed Loznica from German occupation in the Battle of Loznica, earlier, in September, the uprising had taken on large proportions, with the Chetniks freeing the Podrinje and Mačva regions. In late September and early October, the spread to most of Šumadija. By the end of October, the region of Mačva. A westward thrust from the 342nd Infantry Division permitted the Germans to reach Ravna Gora, during October 1941, German forces carried out several mass executions of Serbian civilians in retaliation for their dead and wounded soldiers and to intimidate and pacify the rebellion. About 10,000 Serbian civilians were killed during the mass executions, a fratricidal war began between the Yugoslav Partisans and the Chetniks in late October 1941. The Germans temporarily suspended their offensive, waiting for the rebel forces to destroy each other. However, the Chetniks and Partisans signed a truce on 20 November of the year in Čačak. The Germans subsequently launched a new offensive, codenamed Operation Western Morava, lasting from 25 to 30 November, having successfully conducted two offensives in the direction of the Drina River and Western Morava, the German forces closed their ring around Šumadija. The German forces decided to focus their attacks on Ravna Gora, Paul Bader, the newly named German military commander in Serbia, drafted a battle plan on 3 December 1941. The Germans planned to attack Ravna Gora from four directions, Bader chose the 342nd Infantry Division for the operation, it had made the greatest contribution in crushing the Chetnik uprising during the two preceding months. The code name for this offensive to break the Serbian uprising. 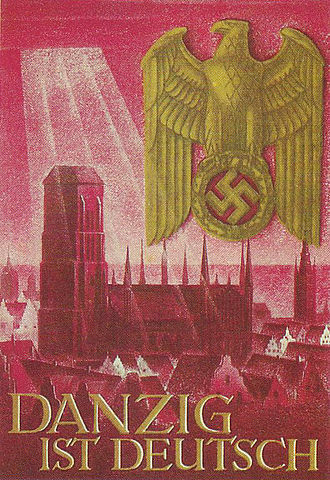 In addition to the offensive, the German forces had a psychological advantage of a campaign of terror that was inflicted on the civilian population. This caused some panic among the Serbian population, Colonel Mihailović thought that the German units would not stay long in inaccessible areas and, after the German forces passed, the Chetnik units could regroup in the same area. Operation Southeast Croatia was a large-scale German-led counter-insurgency operation conducted in the southeastern parts of the Independent State of Croatia, during World War II. It was the first of two German-led operations targeting mainly Yugoslav Partisans in eastern Bosnia between 15 January and 4 February 1942, several days after the conclusion of Operation Southeast Croatia, a follow-up operation known as Operation Ozren was carried out between the Bosna and Spreča rivers. Both operations involved Croatian Home Guard and Italian troops and are associated with what is known as the Second Enemy Offensive in post-war Yugoslav historiography, the Second Enemy Offensive forms part of the Seven Enemy Offensives framework in Yugoslav historiography. The insurgents in the area of operations included some groups led by communist Partisans and this contributed to the complete unravelling of Chetnik–Partisan cooperation in eastern Bosnia. The Partisan main force was able to evade the Germans, infiltrate through the Italian cordon to the south, on 6 April 1941 the Axis powers invaded Yugoslavia from multiple directions, rapidly overwhelming the under-prepared Royal Yugoslav Army which capitulated 11 days later. In the aftermath of the invasion Yugoslavia was partitioned between the Axis powers through a combination of annexations and occupation zones, outside of these areas, an Axis puppet state known as the Independent State of Croatia was established on the territory of modern-day Croatia and Bosnia and Herzegovina. 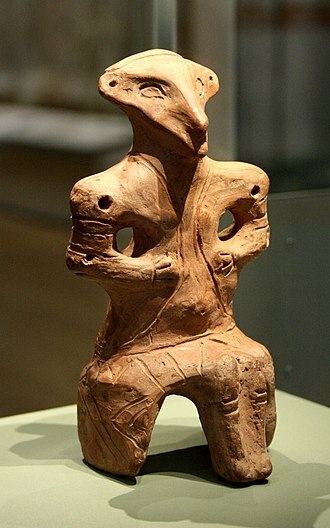 The NDH immediately implemented genocidal policies against the Serb, Jewish, in November and December 1941, almost all Partisan forces in the German-occupied territory of Serbia had been forced to withdraw into eastern Bosnia where they combined with local Partisan forces. Most of the Chetnik forces in eastern Bosnia were local Serb peasants, the insurgency in eastern Bosnia meant that NDH authorities were unable to retain control of the region. At the end of 1941, there were six Partisan detachments in eastern Bosnia, with about 7,300 fighters operating in the Majevica, Birač, Romanija and Kalinovik areas. Due to continuing cooperation between the two groups, the Chetniks shared control of the towns of Rogatica and Han Pijesak with the Partisans. The orders from General der Artillerie Paul Bader, the German Military Commander in Serbia, all persons encountered within the area of operations were to be treated as the enemy. The population within the area to be targeted by the operation were almost all either Orthodox Serbs or Bosnian Muslims, Bader believed that the Partisans and Chetniks were using the area as winter quarters, and that their presence there was a threat to major transport routes through eastern Bosnia. The operation itself was led by the German 342nd Infantry Division, the commander of the 342nd Infantry Division, Generalmajor Paul Hoffman, had the 718th Infantry Division of Generalmajor Johann Fortner under his command for the duration of the operation. The German force was assisted by Croatian Home Guard units including seven infantry battalions, the Axis and allied NDH forces available for the operation were 30, 000–35,000 troops in total. Luftwaffe support included reconnaissance aircraft and a combat squadron, the offensive targeted areas held by the Romanija, Birač, and Ozren Partisan detachments, between Sarajevo, Zvornik and Višegrad. Operation Uzice was the first major counter-insurgency operation by the German Wehrmacht on the occupied territory of the Kingdom of Yugoslavia during World War II. The operation was directed against the Užice Republic, the first of several free territories liberated by the Yugoslav Partisans and it was named after the town of Užice, and is associated with the First Enemy Offensive in Yugoslavian historiography. The security forces of the German-installed puppet regime of Milan Nedić participated in the offensive, the Partisans counter-attacked decisively, but by early December had been driven from liberated area by the German and Serb collaborationist offensive. Almost immediately, the Germans made an effort to find out whether the Chetniks supported the uprising. On August 14 the Headquarters of the Military Commander in Serbia reported to the OKW that the Partisan forces thus far enjoy no support from the nationalists. Despite this, the German military forces in the region were deemed insufficient to quell the uprising, on September 12, German intelligence reported that Chetnik units are taking up positions alongside the Partisans. In mid-September 1941, Josip Broz Tito and the Partisan General Staff moved from Belgrade to the Užice Republic where the Partisans had by now formed 25 new military detachments. A few days on September 19, Tito met with Draža Mihailović in order to negotiate an alliance between Partisans and Chetniks, but they failed to reach an agreement. Tito was in favor of a joint full-scale offensive, while Mihailović considered a general uprising to be premature and dangerous, as he deemed it would trigger reprisals. Chetnik support for the rebellion was partial, of some 5, 000–10,000 available men, in the meantime, on 16 September 1941 Field Marshal Wilhelm Keitel issued an order applying to all Europe to kill 50–100 hostages for every German soldier killed. Each act of insurgency was to be considered of communist origin, the German military declared Serbia a war zone, and villages began to be torched. Ten German soldiers having been killed in a joint Partisan-Chetnik attack on Kraljevo,1,700 hostages were shot on 20 October, several other thousand hostages were executed during the following weeks in reprisals against the insurgents’ attacks. Poster of the Serbian Partisans, calling for an uprising. Yugoslav infantry surrendering to Germans. The capture of the gendarmerie post in Gornji Lukavac was one of the first actions of the uprising. The Gacko district was one of the centres of the uprising. The force responsible for clearing eastern Herzegovina was supported by four World War I-vintage Skoda houfnice vz 14 mountain howitzers.